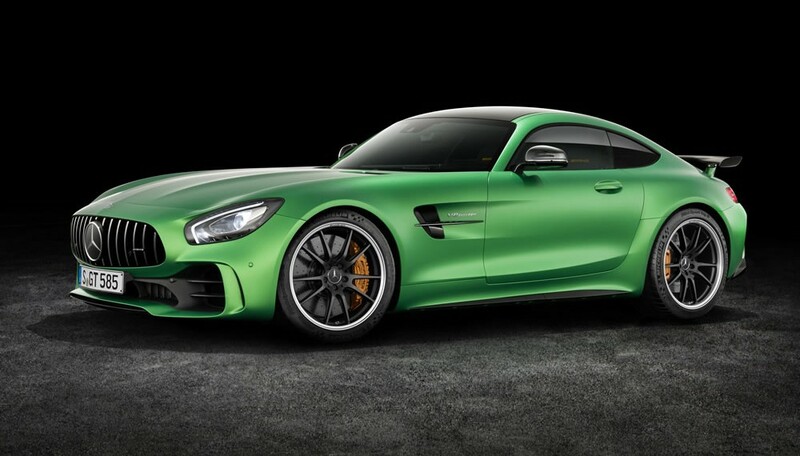 Never before has Mercedes-AMG equipped a standard production vehicle with such a racing technology as the all new AMG GT R. The front mid V8 biturbo engine with transaxle transmission, producing 430 kW / 585 PS, a substantial modified undercarriage, new aerodynamic and the intelligent light weight construction are the key elements of an ultimate driving experience. 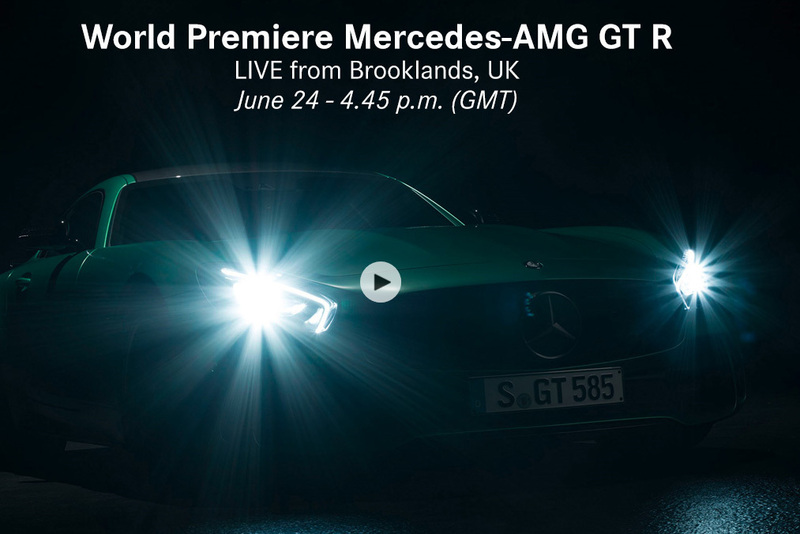 On June 24th, the new sports car with a pure race DNA will be presented in Brooklands, UK. An acceleration from zero to 100 km/h in 3.6 seconds and a top speed of 318 km/h in combination with extraordinary driving dynamics promise extreme fast laps on the racetrack. 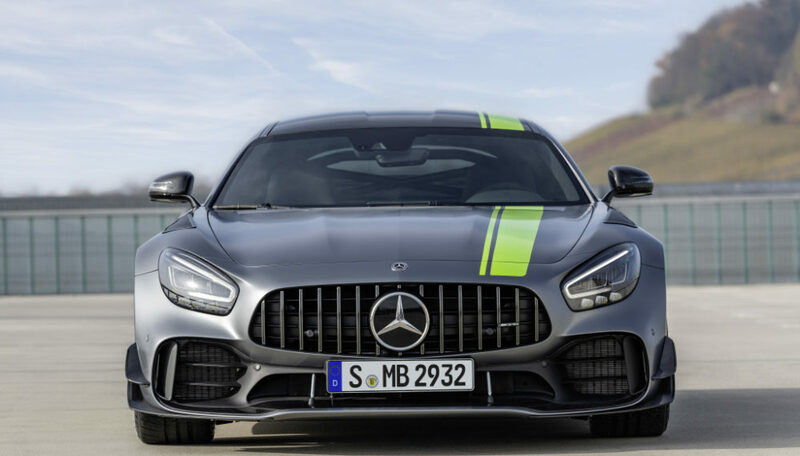 The exclusive color “AMG green hell magno” is an optical reference to the “Green Hell” the nickname of the legendary north loop of Germany’s Nürburgring and points to a direct lineage to the racetrack. Mercedes-AMG continues to grow and extends its product portfolio with the new AMG GT R at the upper end.